If you’re hosting an event, you’ve probably got a long list of ideas and to-dos in your head. With so much else going on, it’s easy to think that catering is pretty low on your priority list. After all, who could complain about a free, hot meal? Well, turns out, a lot of people can. Catering can make or break your event, so choosing the right catering service and the right meal should be high on your event planning list. 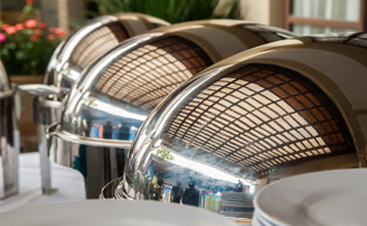 Thomas’s Catering has been serving the Livonia and Detroit for years, so we know a thing or two about choosing the right catering service for your event. 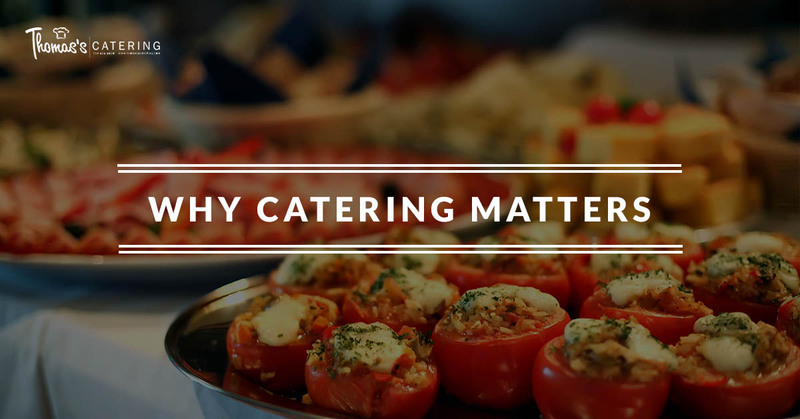 Below, we spell out why catering matters. Hosting an event can mean a lot of things, but ultimately, it can be focused back to one concept: hospitality. Whether you’re planning a corporate meeting, a birthday party, or a wedding, the attendees are your guests. You want your guests to feel welcome and comfortable. 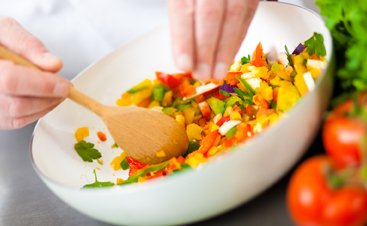 Providing food is an easy and obvious way to create that cordial atmosphere. Having a catered meal at your event recreates that timeless tradition of breaking bread and creating new bonds with one another. This might seem like an obvious step, but it’s one that is often forgotten. 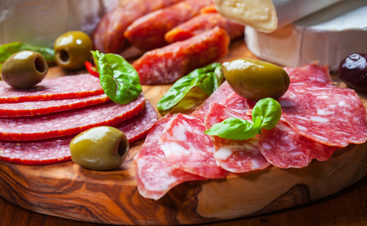 When considering catering, keep in mind a few factors: who are your guests and what are their preferences? What is the timeline for your event? Where is the event hosted? How are you presenting this event? To give an example of a bad audience read, think about this. You’re hosting a small Saturday morning gathering for about 15 local business owners. They’re local artisans, and the event is being hosted at a nearby sculpture garden. In this case, it probably isn’t wise to serve a three-course meal, with a wine tasting. In this case, a light breakfast or brunch option might be better. After all, you don’t want to weigh down your guests with a heavy meal so early in the morning! You’ve spent countless hours planning this event. Everything from the table decorations to the flower arrangements is color coordinated and matching, and your theme ties it all together. Shouldn’t your catering match too? BBQ might be a real hit at the company 4th of July picnic but might go over like a lead balloon at a wake. It’s surprising how much food can set the tone for a gathering, and if your catering effortlessly matches your event, you’ll be pleased with your guests’ reaction. Have you ever gone to a restaurant, only to be treated to a disappointing meal? Did you ever go back? We’ve all had that restaurant experience that left a bad taste in our mouths, literally and figuratively. Even if you went with good friends, the poor meal might have soured the whole affair. The same experience applies to catering and your event. Food matters, people make it the topic of any conversation. If your catering choice is subpar, you’ll hear about it from your guests. The result is that your events could garner a reputation for being fun, but missing a certain something. This might lead to fewer attendees at future events. However, the opposite is also true. If you provide spectacular catering, with flawless execution, your guests will remember your gathering as the “you-should-have-been-there” event of the year. Thomas’s Catering knows the importance of a good meal, after all, we’re your Top Rated Local® Event Catering company in Livonia and Detroit. We want every event to be a smash hit. It’s part of our commitment to providing the best service and presentation possible to your event. If you have an event coming up soon, don’t hesitate to reach out today. Let us help you craft a menu that will add an unforgettable element to your next event!